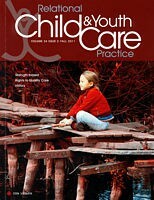 Formerly the Journal of Child and Youth Care, this journal focusses on all aspects of youth work, and the care and protection of children and young people. While particular attention will be given to material that explores the interpersonal dynamics of professional practice, consideration will also be given to all submissions that assume a relational perspective. This might include topics such as cultural values, ethics, social policy, program design, supervision, education, training etc.